Petalina has been asked many times by customers over the years, ‘Where is the best place to sell dolls?’ and all we have ever been able to do is recommend Ebay or specific facebook doll collector groups. Now that I have a bit more time on my hands I thought I would experiment with a classifieds section on Petalina’s blog and I would love to know what you all think of the idea. Petalina’s dolly Market is somewhere for private individuals to sell their pre-loved dolls. I know that collectors like to sell some dolls so that new ones can be added, and not everyone loves eBay. Our dolly market is also the perfect place to sell played with children’s dolls that are still in good condition. With a good clean up, several makes of doll are highly sought after for their collectible value, but also many parents can’t afford the high prices of some dolls so good quality second hand dolls would be perfect. Above is the face of a gorgeous Spanish toddler doll of which we have a few to sell. She is brand new, completely and utterly beautiful with high quality hair and a cuddly body, but without clothes. Perhaps you are looking for a particular doll? We are more than happy to have Dolls Wanted Adverts placed. In fact, there is a section especially for that. Initially we won’t charge anything for placing an advert as we will be listening to our advertisers’ feedback and making changes to how the dolly market works based on experience. We will also be working on building up visitors to ensure the adverts placed are seen. Once everyone is happy that the adverts are working and dolls are being sold, we reserve the right to charge a small fee for new adverts to go towards the running costs of the Petalina Blog. If Petalina’s Dolly Market is a success, then perhaps we can add pre-loved dolls clothes and doll accessories in the future. Plus, we may also allow small doll businesses to advertise as well. Petalina could be the go to place to find everything dolly! Advertising with Petalina is easy and we have provided lots of information to help you. You can find out more about what to include and how to take photographs here. Please make sure you follow our guidelines to ensure your advert meets with the requirements set out in our terms and conditions. Above is my daughter’s My Twinn Doll. She is 23 inches tall and so posable. I think a little girl would have great fun with her. What’s also amazing is just how many visitors Petalina’s blog is getting daily and our number of subscribers is also increasing steadily. Because of this we know that adverts placed on our blog will be seen by doll lovers around the world. We will also be posting about our new dolly market on Instagram, Facebook and Pinterest and sharing some of your photos with our followers there too, which is over 20,000 people! To get things started I have added lots of sample dolls that we have from our Petalina shop days, and a few of my daughter’s collection, but there are lots more to add so do pop back again and have a look. 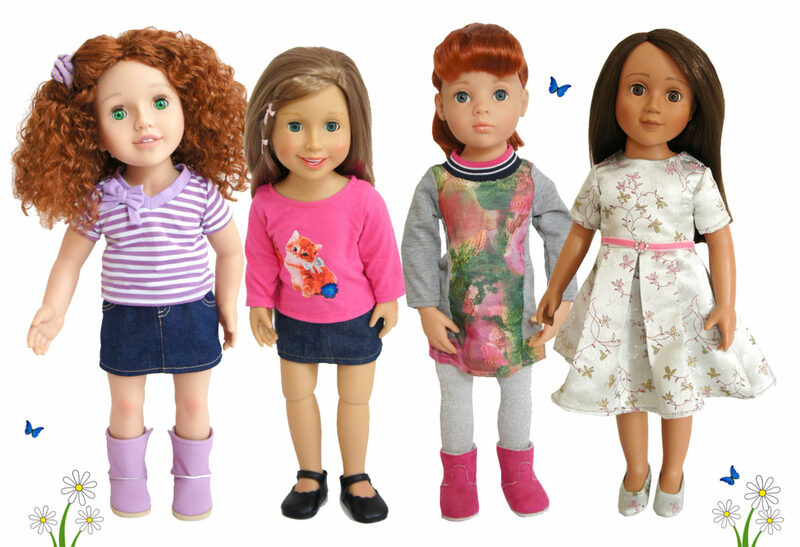 You can see all our pre-loved and sample dolls currently for sale here. I hope this is something that Petalina’s readers will enjoy and find useful. Do let me know what you think, and if you have a doll that you would like to sell, please feel free to place an advert! I think this is an awesome idea – I’d be a buyer for sure ! I’m sure this will be very successful as there is a void in the market for this ! That’s good to hear Carol, thanks for the feedback. I really hope the dolly world finds it useful. Cate this is a brilliant idea, I’ll certainly be interested both as a buyer and seller. Thank you! I love this idea. My husband thinks I have too many dolls but I don’t think my grand-daughters are ready for me to let any go (and maybe I’m not either) but I could certainly be tempted to buy a few more. I’m still wishing for some of the lovely dolls you had for sale, Cate. Hi there, I can promise you your daughter need not worry about her doll. She will reside in the lap of luxury!